Are you experiencing a problem with unwanted visitors using the cat flap and nabbing all your cat’s food? 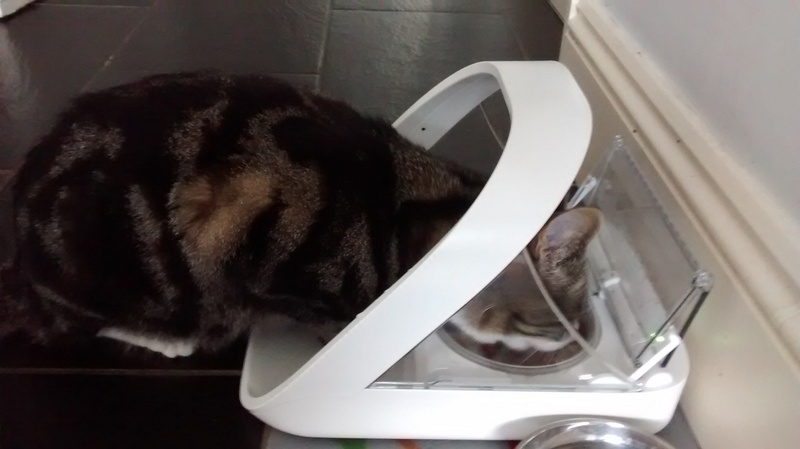 If so you might be interested in using a micro chipped cat feeder. Rex’s owners are very happy with theirs and the problem has been sorted. The feeder only opens when it senses Rex’s micro chip, and it closes as soon as he moves away from it. It is also very useful in multiple cat households where there may be different dietary requirements.